Previous post: Rachel Caine’s Smoke and Iron: Will They Pull It Off? We are doing a series of articles introducing people to what goes on behind the scenes of different parts of the City of Reedley, and even give some insight into how other cities might work as well. We started off with a look at the Reedley Chamber of Commerce, and this week we chatted with Reedley City Manager Nicole Zieba, about what she does as City Manager. KRL: How long have you been in this position? 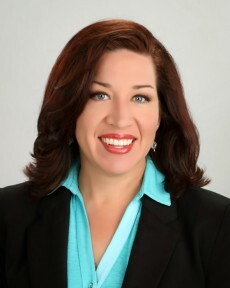 Nicole Zieba: August 11 was my 7-year anniversary with the City of Reedley as its City Manager! I think this makes me its longest tenured City Manager. KRL: What does a City Manager do? Nicole: In a nutshell, a City is like 10 or 12 different businesses put together under one organization: Police services; Fire services; Street and Road construction and maintenance; Parks and Recreation programs; Water, Sewer and Garbage Disposal; Building safety and permitting; Airport; Animal Control; Economic Development, etc. A City Manager’s job is to make sure that all of those departments are meeting the community’s needs in the most efficient and effective ways possible. In addition, it’s making sure that those very different departments are able to work together and move in the same direction. 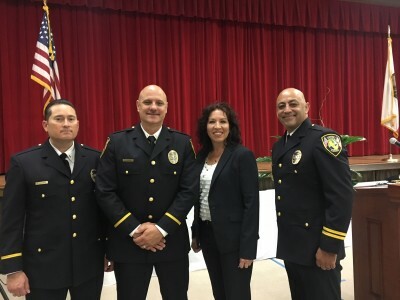 The City Council, as the community’s elected governing body, sets the vision and the policy for what that direction is, and the City Manager’s role is to lead and manage the organization in the direction they tell us to go. I’ve always thought that one of the most important things a City Manager does is pick the team that leads those departments. Very much like a coach who picks their team players, I’m looking for people who have strength in their field of expertise, but who also complement each other – we each have strengths and weaknesses, and I’m looking to bring folks together to fill in the gaps where those weaknesses are, and to utilize particular strengths of individuals to help all departments. It could be that my background as an executive recruiter really showed me how much the compatibility of the team made organizations rise or fall. You can have the most intelligent, visionary person leading a department, but if he/she can’t get along with their staff or their peers, they aren’t going to be able to get a lot done. Frankly, as far as day-to-day functions go, a City Manager does everything from fielding calls from the media, responding to citizen concerns, strategizing with staff how to handle a last minute crisis, such as a failed water main or a terrible crime, advocating in Sacramento for or against legislation that impacts cities, reading up on the latest laws and policies that impact our operations and making sure we are in compliance, meeting with developers or property owners about economic development opportunities, and the list goes on. . .
KRL: Are you from the area originally? Nicole: I was born and raised in Los Angeles. Got my Bachelor’s Degree in Political Science from Cal State Fullerton (I often joke that I went to the BETTER CSUF! ), and my Master’s in Public Administration from the University of Southern California. I moved here in 2003 to take a job with the City of Fresno and instantly fell in love with the Valley. I can’t imagine working and raising my kids anywhere else. KRL: How did you end up applying for this job? Nicole: In 2011, I was working as the Deputy City Manager for the City of Fresno under Mayor Ashley Swearengin and loving every minute of it. One day I got a call to give a reference for a friend who put in an application for the Reedley City Manager job. He ended up not getting the job, but the Interim City Manager called me back and said he wanted to meet with me personally and would I please apply for the job. I actually said no to him. But after several calls, he enticed me to come and talk to the Council. After one hour with them, hearing their vision for what this community could be, and knowing that I had experiences in similar areas and could help them get there, I was sold on the job! It has been one of the best career and personal decisions I have ever made. KRL: What do you like best about Reedley? Nicole: I’ve worked in Local Government for over 20 years, and while I will always have a place in my heart for the other cities I’ve worked for, Reedley is absolutely my favorite and has captured my heart in a completely new way. The sense of community here is what makes it so unique. The people in this city truly care for this community and for each other. They are smart, hard-working, independent, caring, and civic-minded. I love that they hold their government accountable but do it in a way that is respectful and positive. The City Council reflects those traits from our community. I report to five very different people. They each have different goals, viewpoints, political leanings, and cultural norms, yet, each one is able to compromise and come to a middle ground on tough issues. There is great debate amongst our Council Members on policy issues, but each one is able to disagree with other Council members in a respectful way that doesn’t devalue the others’ opinions. It is unique for politicians in these days. It is refreshing. Their respect for staff makes us all want to work even harder to make this community the best place it can be. KRL: What have been the biggest challenges you have faced as City Manager? Nicole: Back in 2011 when I took the job, the City was two months behind in adopting a budget and was facing bankruptcy. At that same time, a very popular department head was under investigation, one Council member had suddenly stepped off the Council leaving a vacancy on the governing body, the City’s two unions were at impasse with the City on new contracts, the City was about to lose tens of millions of dollars in State and federal grant funds due to projects not being started, staff were filing harassment grievances against each other, critical State reports were years overdue, and none of the City’s policies and procedures had been updated in years and were out of compliance with State and federal law. It was an absolute mess! My first and most important priority when I started was to plug the fiscal holes so that the City could stay afloat. Once we stabilized that, we began to tackle the other issues, like the grant funding we were about to lose. We got started on those important projects, like replacing the deficient Manning Bridge and constructing the 2 million-gallon water tower. I met weekly with the contractors and staff to keep the project on track because there was no room for error. If we made any mistakes, we were on the hook to give back over $20 million in grant funding. Eventually we reached a point where our team had stabilized the City and we could begin moving ahead on projects that were needed, but not as critical as the ones we had been sweating about. An example of that would be the new “splash pad park” that replaces the closed and blighted old City pool property, and our Reed Avenue road reconstruction. KRL: Take us through a typical work day for you from start to finish. Nicole: One of the things I love best about this job is that there is no such thing as a typical day for a City Manager. Everyday there is some new crisis that pops up, and while dealing with crisis is absolutely important, City Managers have to be careful not to fall prey to being completely reactionary and never working to proactively move the City forward. So, each day I try to balance the crisis-du-jour with strategic planning with our departments, building opportunities for our future, doing the obligatory paperwork required to run a City, and making sure I get out to talk to employees, businesses, and other government entities to keep those relationships strong. KRL: What type of events are you involved in for the City? Nicole: City Managers have to be ready to represent the City at a wide variety of events, from parades and ribbon-cuttings to critical legislative hearings at the State Capitol. I have had the pleasure of addressing hundreds of Korean visitors from Los Angeles in front of the Korean Independence Gate in Reedley, I have had the displeasure of addressing the California Public Utilities Commission in San Francisco to plead with them to understand the intense problem that Disadvantaged Community residents face with huge utility bills (that are only getting worse), and I have had the excitement of addressing media outlets from all over the Valley in a press conference to unveil our new electric aircraft – the only ones of their kind in the entire United States. On a more routine basis, City Managers frequently are asked to speak with high school civics classes about what local government does. We attend conferences with other City Managers from around the Valley and California to share ideas and learn about new issues impacting our cities, and we attend meetings with other local organizations, like the school district and the County, to coordinate important projects. I also am a Rotary member, so I do make it a point to attend the local meetings and attend the events our club puts on. KRL: What does the City Manager do to encourage new business in Reedley (if anything)? Nicole: In this day and age with most of a City’s funding coming from sales tax, a City Manager absolutely must concentrate on recruiting new businesses and on maintaining the existing ones. On a daily basis, our staff is working as a facilitator between land owners, developers, and businesses to try to locate companies here. Most folks I run into think that recruiting new businesses means picking up the phone and simply asking businesses to come to the City, but in fact, economic development is much more complex. Most national businesses have very specific demographic profile requirements. For instance, there is a large retailer that I get asked about continually. Because Reedley isn’t close to a freeway, this retailer won’t look at us until we reach 40,000 in population. We try to lure them anyways, but the answer is always the same – until we grow, or until their corporate demographic requirements change, they won’t locate here. The other issue we run into constantly is that a City has to have a place to put a business that they recruit in to the City. In the case of Reedley and many other small towns, private property owners aren’t always willing to sell, even if the price is pretty decent. We’ve had cases where a national hotel chain wanted to come, but the property owner on the property they wanted to locate wanted about 5 times what the property appraised for. That simply doesn’t make good nosiness sense for the hotel, so they ultimately did not come. Of course, we’ve also had the opposite happen, where a major restaurant chain wanted to be here in Reedley, but they wanted land for free. What private property owner is going to give up their land? I certainly wouldn’t, but this restaurant chain had been given land previously in other places, so they wanted it free here as well. 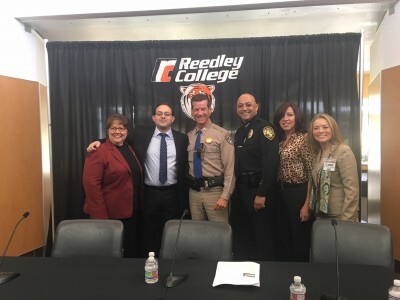 All of these instances aside, Reedley has been growing and has been able to recruit in some pretty great businesses. Most of our community doesn’t see them as easily, since they aren’t retailers, but economic development is far more than simply retail. We have brought in new health-care related businesses, which produce good paying jobs and much-needed services to our community. We have brought in stainless steel fabrication plants, ag-related production facilities, and business support services. We have seen our historic hotel and several beloved restaurants reopen or sell to new owners who have given them fresh life. Our City staff is constantly trying to refine our permitting and building inspection services to make locating a business in Reedley as smooth and easy as possible. We are proud of the work we have done in this area. A recently located national chain business that opened its doors in Reedley recently told us that out of the many cities they have opened stores in lately, Reedley has been, by far, the easiest to do business with. KRL: What great things are in store for Reedley in the near future? Nicole: We’ve had some tremendously innovative things happen in the last couple of years here in Reedley, and I expect those will bloom into even bigger and better things. 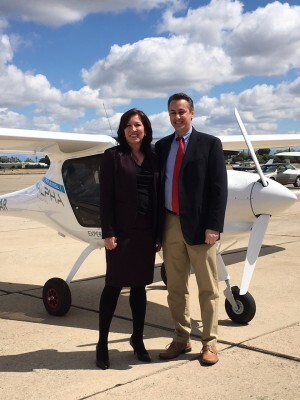 For example, the Cities of Reedley and Mendota partnered with CalStart and got $1 million in grant funding to purchase the nation’s first all-electric aircraft to start an ultra-low-cost pilot training program. We now have four planes and are developing the curriculum. The nation is facing a huge pilot shortage. We put our heads together and realized that we could dramatically impact our lower socio-economic populations if we could get them options to get their pilot certificates. These careers are not out of reach, it’s just difficult for teens and young adults to know where to start and how to afford the training. With electric aircraft, the cost to fly the planes are extraordinarily low. We have over $100,000 in grant funding for scholarships. We are also partnering with Reedley College on their flight science program, which is a bit different, but can still leverage this innovative technology to reduce overall tuition costs. So far, our City has had calls and emails from the likes of NASA, Boeing, and top universities around the nation wanting to find out what we are doing and wanting to come out and see our aircraft. Over the next few years, Reedley and the Central Valley will be the hub for the emerging electric aircraft industry. On a more surface level – pun intended, Reedley can expect to see a dramatic improvement in road conditions over the next few years. Due to the State’s grab at road funding over the past decade or so, most cities in California have really struggled to maintain their roads. The new emphasis on road funding from the State has now allowed us to start reconstructing vital corridors, like Reed and Manning, which will make the quality of life a lot better for Reedley drivers. Also, we have about 400 new homes mapped out and ready to be built as soon as the builders are ready. We are also looking at the relocation to Reedley of a few major corporations in the next few years. The expectation is that these businesses will create well over 100 new good paying jobs once they are fully operational. So, there are a lot of good things on our horizon in Reedley! KRL: That all sounds exciting! Any big plans or goals? Nicole: Most City Managers worth their salt will tell you that a City has to have goals and a plan to reach each one, or else a City will struggle and languish in mediocrity. All California cities are required to have a General Plan, which outlines the City’s plans for growth and development and specifies how it intends to reach the State’s mandate for new housing (and yes, the State mandates that we plan for growth. Cities cannot choose to stay stagnant) Most cities will also have a 5-Year Capital Improvement Plan that lays out the priority and funding plan for big projects, like pipeline replacements, street reconstruction, purchases of large equipment, construction of new parks, and large items like that. In the City of Reedley, each Department has annual goals that feed into the larger Citywide goals. Specifically, over the course of the next few years, we are working to fundraise and build a brand new 15,000 square foot Library. The City has the land, thanks to the Reedley Friends of The Library, and we are working with the County to deed the property over to them and design a true community space to replace our very cramped, but well-used 5,000 square foot facility. We are also planning to build out our Joint Alternative Fueling Center with Kings Canyon Unified School District, one of the few joint projects of this type in the State, and of course, we want to see our low-cost pilot training program really take to the skies – pun intended again – in our electric aircraft. While these plans are very exciting and represent new, innovative projects, the City is also planning for the next fiscal downturn and the incredible State-created pension crisis that is coming this way in another year or two. Part of good planning is to be prepared for the bad stuff, and not just working to plan and build the good stuff. Seven years ago, we had an unemployment rate of 33% in Reedley. We are now down around 10%. We don’t want to return to those terrible days where 1 of every 3 people in Reedley was unemployed. Nicole: On the personal side, being a City Manager comes with a tremendous responsibility. My decisions have life and death consequences, when you think about the implications of police and fire policy, public health and safety, and quality of life issues in neighborhoods. It’s a responsibility I gladly bear, but it is not without its consequences on my own quality of life. Over the years, I have learned that doing something productive to alleviate the stress is critical. So, each week now, I do long-distance high-elevation day hikes to work off the stress. 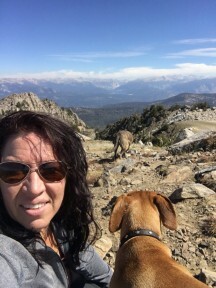 It isn’t unusual for me to do a 15- to 20-mile day hike at elevations above 8,000 or 9,000 feet. Being so close to the Sierra Nevada mountains, I have now seen some of the most beautiful countryside on this planet. Just me, my dogs, my compass, and God’s great artwork. I think that stress relief helps me bring positive energy to the job each day. We would like to thank Nicole for taking the time out of her busy schedule to talk with us and hope you all have learned as much from this as I have! Check out the City of Reedley website to learn more, and watch for more articles here in KRL. If there is something about Reedley that you would like to know more about, let us know in the comments below!